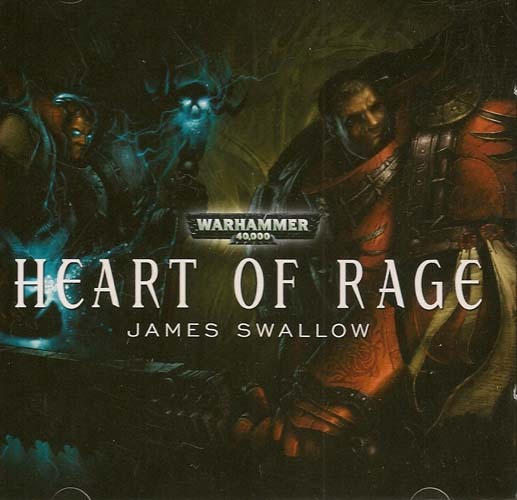 My not-so-vast knowledge of the Warhammer universe stems from two bits of information only; first, it started as a game I’ve seen played at cons with small figures on tabletop landscapes, and second, that it’s about war. Add this third fact: The Black Library’s Warhammer productions bring mayhem to your ears like nothing else I’ve heard. It all starts with the superior dramatic reading of the narrator, who in this case is Toby Longworth. He performs all of the characters as distinct roles, bringing each one to life as if this were an audio drama. Next, sound is added that pays particular attention to what is being narrated. The sound is also not front and center – the story doesn’t pause so that an effect can be heard. It’s all mixed together in a perfect integration of narrator and sound into one organic production. 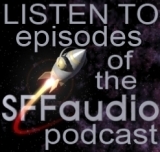 This technique does NOT work for everything – in fact, I normally dislike audio drama/audiobook hybrids, but this is done just right. I enjoyed the technique in Star Trek and Star Wars audiobooks, and this is even more skillful. 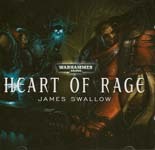 “Heart of Rage” is a Warhammer 40,000 story that last a bit over an hour. Big battle-ready fellows Nord and Kale come across a tyrannid (satisfactorily nasty baddies) hive ship, and fighting ensues. Fans of this universe should enjoy this production.